I begin attending all local lectures I could, regardless of the subject. Without fail, you always take away something. Sometimes the speaker could offer you a tip that could translate into your research. Other times, you walk away with a new perspective on your own community, because each of our immigrant ancestors has a different understanding of their history and assimilation into American life. It’s also fun to pick up words in different languages. Studying genealogy in foreign countries brought me a whole new appreciation for becoming bi-lingual. Languages were not my strong suit in school and I admittedly overlooked it. But now, I’m fascinated with my growing facility of languages, translating foreign documents, and having more of a world history education than strictly U.S. History. June has been filled with fun and interesting programs, always-invigorating research cases, and a fresh outlook on the world of genealogy. This past month I was elected for another society position as Vice-President for the Worcester Chapter of the Massachusetts Society of Genealogists (MSOG). I’m looking to working with my board and schedule fun, educational programs for members and the local community. Guests are always welcome, so bring your friends! I will be back to lecturing a lot in the fall. Check out the schedule and mark your calendars. I am always excited to help people with their research and work on them with their challenges! “Extracting Keywords From Genealogical Sources,” Legacy News, posted 9 Jun 2016. “Investigating The Death of William Fleischhauer,” posted 13 Jun 2016. “A Genealogist’s Reflection On His Own Name,” posted 22 Jun 2016. “Using Keywords In Genealogical Research,” Legacy News, posted 23 Jun 2016. “5 Tips For Tracing Your Immigrant Ancestor’s Origins,” America’s Footprints, posted 25 Jun 2016. 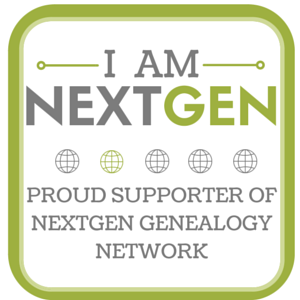 If you are looking for more genealogy tips, visit the Research Toolbox and list of Legacy News blog posts. “10 Common 19th Century Occupations That You’re Not Likely To See Today,” Family History Daily, originally published Dec 2014. Shared by Genealogical Association of Nova Scotia. Heather Collins. “Giving Back: Indexing & Transcription Opportunities For Genealogists,” Young & Savvy Genealogists, posted 8 Jun 2016. Shared by Melanie Frick. John Grenham. “What Irish Records are online?,” John Grenham. Shared by Kimmitt Genealogical Research. Ellen Mulligan. “Snapshot USA: 1950 Census Enumeration District Maps,” The National Archives – Unwritten Record Blog, posted 8 June 2016. Cathi Nelson. “5 Simple Habits to Keep Your Photos Organized,” FamilySearch Blog, posted 19 May 2016. Shared by Amy Johnson Crow. Darcie Hind Posz. “Beyond The ‘Failed’ BCG Portfolio,” BCG Springboard, posted 15 June 2016. Shared by A Link To Your Past. Judy G. Russell. “An intentional quirk,” The Legal Genealogist, posted 20 Jun 2016. Shared by Judy G. Russell. Lorine McGinnis Schulze. “Naturalization Records, the often overlooked way to find a Ships Passenger List,” Olive Tree Genealogy, posted 24 June 2016. Shared by Ancestor Archaeology. Meredith Thompson. “Research Tip: Indiana’s Divorce Mill,” Indiana Genealogical Society Blog, posted 22 June 2016. Shared by Amy Johnson Crow. Frederick Wertz. “The first census? Population Count from 1780s discovered in an old ledger,” Find My Past, posted 5 June 2016. Shared by Story County Genealogical Society. Copyright © 2016 Jake Fletcher.